Bee read this first a few years ago, and she said that she felt too young to really get the series. Now that we’re seventeen, she was interested to see what I would think of it. Answer: not that much. The series is built around a love triangle between a girl and two brothers. In the UK editions of the series, the first book is blue, second yellow and third pink. I think they’re colour-coded by characters and who Belly, the main character (blue) ends up with. I don’t know how Belly could of loved Conrad. He was a jerk throughout the whole series yet could still claim he always loved Belly when it was convenient for him. Jeremiah, the younger brother, was no better. There was no hint of love between him and Belly, not really a hint of friendship either though they were meant to be best friends. You can imagine my surprise when she ends up dating Jeremiah by the end of the second book. Can I even remember what happened in each book? Not really. They melted into one. There’s always this subplot of Suzannah, the boys’ mother, who has a cancer relapse and sadly doesn’t get to live past book one. Grief was an interesting theme for the series, and keeping things exactly the same, which reminded me of We Were Liars by E. Lockhart. The third book was just ridiculous. Jeremiah, who seemed the perfect boyfriend in everyway and definitely was better for Belly than douche-y Conrad, did something completely stupid mainly so the brothers’ roles could be switched and Belly would actually be consolidated in preferring Conrad. The third book revolves around a wedding between Belly and Jeremiah, though, as expected, it doesn’t go to plan. It seemed like the wrong message to be sending to teenagers: the way to fix a broken relationship is to stick it out and get married despite Grand Canyon sized cracks in the couple’s trust. But really, has anyone experienced a love triangle in real life? They’re written about so much and I’m wondering what the inspiration was. Just imagine two boys being completely devoted to you. What would you do? Play them about for ages before admitting you preferred this one all along is not the right method. In my opinion, Belly deserved neither guy. She was selfish, whiny and inconsiderate. She wanted to believe so much that she’d grown up but I believed Conrad all the way. She didn’t change. She didn’t mature. She just got her happy ending by default. I’d give the series about 2.5 stars out of 5, because I really didn’t enjoy it, but wanted to get to the end to see the outcome. In hindsight, I shouldn’t have wasted my time. 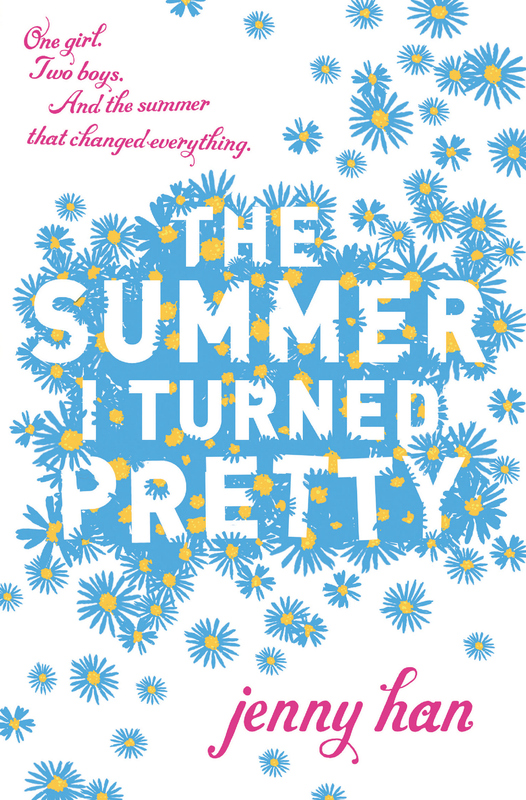 This is described by Sarah Dessen as a ‘beach read’. Does that mean a book you’d read at the beach and then leave there? If you like love triangles that are badly built upon and convenience within plots, this is for you. If you’re looking for something light, that won’t take more than a day to finish and you want to flush your mind with some kind of romance, this is also for you. Sorry for the negativity. This doesn’t mean Jenny Han can’t write a good book. I loved Burn for burn, co-written with Siobhan Vivian and am excited to read her newest venture To all the Boys I’ve loved before. Let’s hope for better!